For the last decade the Japanese home market has been gripped by the cult of 'Utilitarian Chic'. 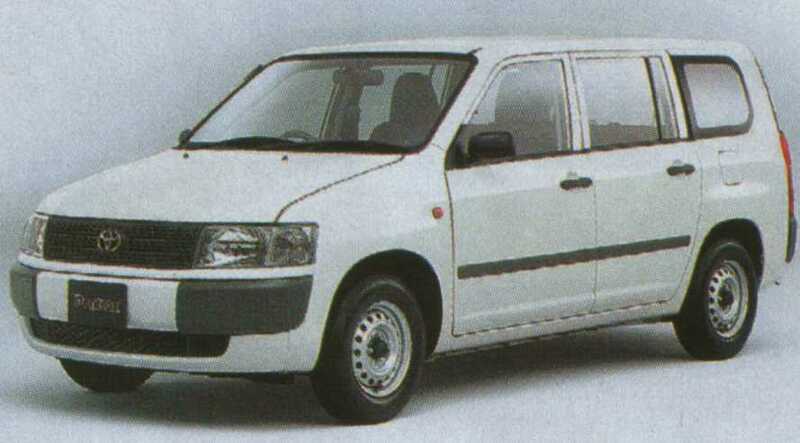 Boxy and unashamedly practical vehicles such as the Suzuki Wagon R, Nissan Cube, and Honda Element have been consistent best sellers and the inspiration for dozen of imitators. The 'Utilitarian Chic' class, in all its permutations of size and form, is imbued with a sense of knowing high fashion which could be characterised as post-modern irony or inverse snobbery. It is surprising, therefore, to find that the real workhorses in Japan are possibly the most style-free vehicles made anywhere on the planet. Described as 'vans', the ground rules are; five-door estate car at least appearing to be based on a very old small saloon, 1.5 to 1.8 litre petrol engines, a conspicuous absence of brightwork or colour-keyed frippery, and, curiously and invariably a 4WD option. Just about every manufacturer offers something in the class, even if they don't make it in their own factory - the Mazda is a re-badged Nissan AD. I can only conclude that either Japan's plumbers, photocopier repairers and couriers are the world's stingiest and most conservative car-choosers, or else there's some sort of tax break based around a rigidly set specification. Our most basic Kangoos, Doblos, Caddies and Transit Connects look like motor show concepts by comparison. 5ivegears has an enduring fascination for the unpretentious Japanese transport tools which rarely reach our shores; Land Cruiser Troop Carriers, Nissan Crew taxis, and pick-up trucks devoid of the egregious designer-label vulgarity of the UK export offerings. Something in my Calvinist soul takes a guiltless delight in mid-grey plastic interiors and instrument clusters and control stalks unchanged since Hirohito was a lad. Am I alone in this, or is the western world, ridden with meretricious boutique cars and German status-insecurity symbols, ready for an influx of Japanese anti-fashion, off the shelf, retro anti-chic?